How to ste. 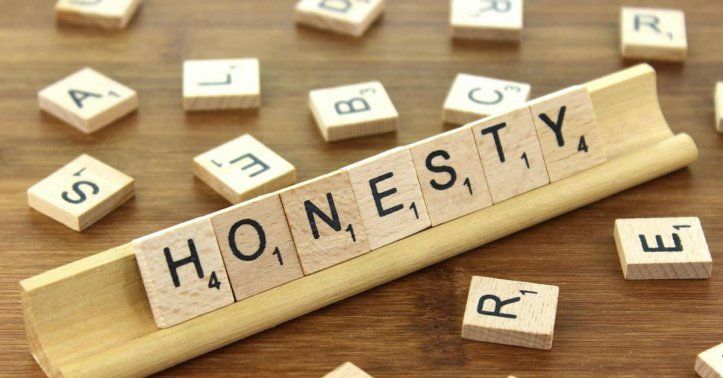 . .
First, honesty means you do not mislead others. You do not tell half-truth or partial truth. You do not exaggerate or speak low-level, malicious lies or exploiting lies. If you distort the perception of others by half lies or exaggeration, your perception will be distorted. If you mislead others by half information, by speculation, you will not be able to know simple truths easily. Want to understand the deep truth? Then you have to practice deep honesty. You have to see things from multiple points of view, higher points of view, and even neutral point of view. Have you passed judgment based on someone’s opinion or your own opinion? Have you concluded with half information? Are you cursing somebody or psychologically attacking someone? All this is dishonesty. Going into denial mode is self-dishonesty. Are you trying to project yourself higher than you are (self-inflation) knowingly? That is dishonesty too. In fact, self-inflation is the biggest dishonesty. How are you going to know the deeper truth with self-inflation? The Lord has provided you vehicles - three bodies - Physical, Emotional, and Mental. In addition, He has bestowed you with opportunities, capabilities, skills, and energy. Are you utilizing them optimally? Utilising them is a deeper level of honesty. Not using your God-gifted capabilities optimally is also a kind of dishonesty. If you want to know the deeper truth, then you have to be more honest; this is the next level of honesty. When you say, "I have to utilize my capability; I have to utilize my time; I have been taken care of by God,; He has given me a chance on earth for the purpose of the Divine," then this is the next level of honesty. If I am not working on the Divine plan, it is not honesty. Look into it for your own good. Not optimally using your time, money, resources, and energy is dishonesty; not contributing fully to your capability is dishonesty. Also, not upgrading yourself to become a greater Divine channel is the next deeper level of dishonesty. Your intention must be crisp and clear. Your thoughts must be clear, positive, and optimistic. In addition, you have to maintain your inner peace and happiness to be purely honest. You must work with enthusiasm and joyful interest. You have to practice a high degree of honesty. High degree of honesty also means you don’t injure in the name of truth; you don’t cause pain to others. You must practice love and kindness for a deeper level of honesty. Be thorough with yourself. We have to work deeply on our self. You have to give chance to others, freedom to others, and be thorough with yourself. That is a mature type of honesty. Don’t go into the denial mode. "I have done this because it is like this..," - this is denial mode! You have to find alternatives. If you are honest towards yourself, then you will have back up plan for your goals. You must remove self-personality. You must align your goals with the Divine goal. This is as important for a group as it is for an individual. You have to balance your life and work with joyful interest and enthusiasm. Be a source of inspiration. Become a role model. Each one of us is great. We have great capabilities. All of us are great souls. We are children of God. Each one of us has certain qualities, which others don’t have. We are unique.